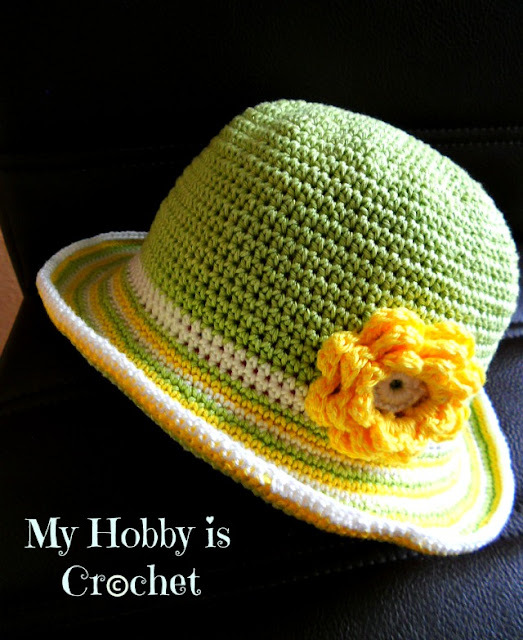 This is a toddler sun hat that I made based on my pattern Crochet summer hat for baby/toddler, with changes for the brim. To not repeat the previous post, I will only write here the changes made for the brim. The crochet stitch used for this brim is single crochet worked in both loops of the stitches, (we are not working anymore only with the back loops of the stitches as in my other brim pattern). This brim it's made of 12 rounds. Your choice if you change colors as I did, or work entire brim in only one color. Each green round (for a total of 4 rounds) it is a round with increases (increase= 2sc in same stitch), each increase round to 16 stitches. The other color rounds are made without increases, working one sc in each stitch across. 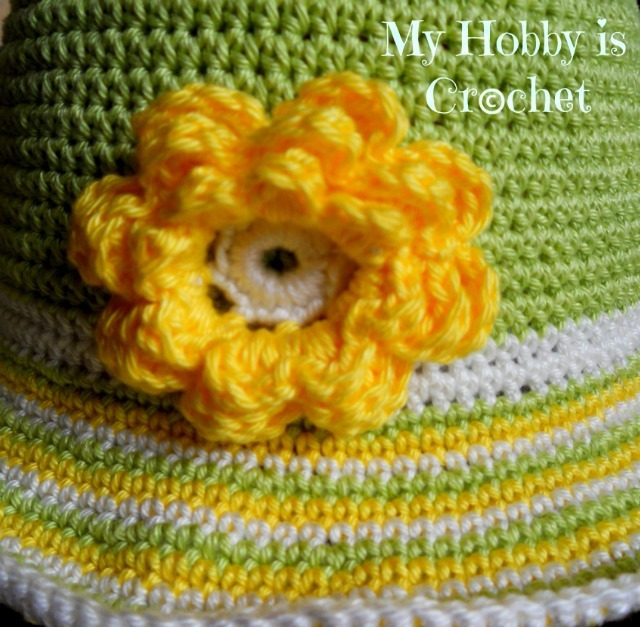 I have used as embellishment a 3 layered flower, a free pattern by Rosehip. Cool summerly hat!! !So sweet color combination! Lovely. The colors just shout 'summer is here'. Thank you so much for sharing all your talent with us. I like the tut by needlenoodles too for making clean stripes. Oh cool is that?